Here are 235 ebook listing sites, Kindle freebie sites, book review sites, author listing sites, a few ebook retail sites, and Facebook ebook groups (which I will try to keep updated with your help). Note: Many of these sites also feature printed books, so check them out even if you don’t have an ebook yet. Some of these sites offer free listings. Others charge a minimal fee for listing. Good hunting! 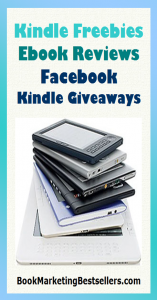 Kindle Giveaways — Use your Kindle Select free days to give away your ebooks at sites designed for free Kindle days. There are many such Kindle freebie sites in the following list. Short Excerpts — Feature short excerpts from your books and novels on freebie websites. You can also use excerpts as an incentive to sign up for your newsletter or fan club email on your website. Short Ebooks — You can build an even bigger audience by giving away short ebooks that are more substantial than just an excerpt. Again, you can use these short ebooks as newsletter signup incentives. Older Books — To promote a second novel, give away your first novel to build interest in your upcoming work. You can also promote your first book at a lower cost (99¢ or thereabouts) rather than as a freebie. Listings for Links — Add your book listings and author websites at any of the following websites that allow you to include links. These links will increase your search engine visibility, encourage more people to visit your website, and help you sell more books. Author Pages — List your author (or yourself) on any websites below that allow you to create an author page. Many of these websites encourage such listings. http://www.about.me — A website where you can do a free author listing where you ask visitors to take one action. Alexa rank: 2,769 in December 2015. Check out my page with a call to action to visit my blog: https://about.me/johnkremer. http://www.addictedtoebooks.com/free — Ebooks only.Restrictions: Sorry, no erotica allowed at this time. Also please only post books that are free today. Prime or Kindle Unlimited does not count. Do not list books that are free tomorrow, or the next day, or the next. Only books that are free right now. Any books that are not free when you list them will be deleted! If your book is free for more than five days, I will keep the listing up for five days and then delete it to give other books an opportunity to shine. http://www.allbooksfree.com — Features free novels, short story collections, plays, poetry, and children’s books. http://www.allmysteryenewsletter.com/author-information-form — Mysteries and detective novels only. http://www.amazon.com/reviews/top-reviewers/ref=cm_pdp_top_reviewers — Want to get good reviews and credibility via Amazon. Offer these top Amazon reviewers a free review copy of your book. Before you offer the review copies, make sure they review your genre of book. Don’t approach reviewers who are not clearly interested in your kind of book. http://www.authorsden.com — A place for readers and authors to come together. Alexa rank: 135,012 in December 2015. Authors: Reach millions of readers each year within your niche. Share, interact, and guide them to information about you on AuthorsDen.com and your other websites. Each month over a million readers from around the world visit to discover and learn about authors who have made AuthorsDen their online home. http://www.awesomegang.com/submit-your-book — Free promos or $10 to be featured on their website. Alexa rank: 254,539 in October, 2016.
http://www.bargainbooksy.com/sell-more-books — Focuses on genre fiction (thrillers, mysteries, and romances, but also offers promos for cookbooks, self-help, religion, travel, and general nonfiction. If you are planning to discount your book (or if your book is already priced between $0.99 and $5), the Bargain Booksy Feature is for you. With over 125,000 registered users a Bargain Booksy feature can help you to drive sales of your book, find a new audience of readers, generate reviews for your book, and improve your book rank on retail sites. Note: These are paid listings. To try for a free listing, check this out: http://www.bargainbooksy.com/for-authors. Alexa rank: 397,297 in September 2016.
http://www.beezeebooks.com/book-promotion — Promotes self-published authors for free. http://www.bookangel.co.uk/submit-your-book — We feature ebooks from Amazon UK which are temporarily free to UK Kindle users. Selected books will be chosen from these to review. http://www.bookbasset.com/authors/submissions — They offer featured author posts ($21.99 per day) and guaranteed freebie posts ($7.99 per day). Their Facebook page has 44,983 likes. Alexa rank: 862,119 in October 2016.
https://www.bookbrowse.com/information/index.cfm?fuseaction=editorial_submissions —BookBrowse’s editorial format allows us to provide featured recommendations of only about 30 books each month – a tiny fraction of the books published but still more than even an avid book lover can read. So, sadly, we have to reject many more books than we can accept. Only these genres: Novels, short stories, young adult books, biographies, narrative history. https://www.bookbub.com/home — One of the top ebook feature sites with millions of readers. Alexa rank: 7,045 in February 2016.
http://www.thebookcaster.com — Get potential readers involved in casting your novel for a movie. To have your book featured for a month on the front page of this site costs only $19.99. Alexa rank: 7,997,787 in December 2015. Have you ever been reading a book and pictured a certain Hollywood star playing one of the characters? Ever been disappointed with the casting selection when your favorite book is made into a movie? This site allows you to build the perfect Hollywood cast for your favorite book and share it with other fans. http://bookclubreading.com/add-a-book — Book club reading list. Alexa rank: 1,452,209 in November 2015.
http://www.bookdaily.com/lp/freeppc1 — BookDaily introduces authors to new readers by providing a sample chapter from the author’s books. Just yesterday, 35,424 sample chapters were sent to our readers by email. It only takes a few minutes to set up your account and you’ll see your work next to those by best-selling authors on BookDaily.com, just waiting to be discovered by new readers. http://bookglow.net/advertising-opportunities — Alexa rank: 14 million in March 2017.
http://www.bookhub.online/list-your-books — We’re keen to promote all self-published authors. You’ll get a free listing of your self-published book on our Books page and if you have an interesting story to tell, get in touch and we’ll work with you to drum up some free publicity. Alexa: 882,229.
http://www.bookhub.online/submit-a-post — You can submit blog posts to this site. Please do not waste our time and yours by suggesting a piece that has already been used. It makes it harder for us to give you priority when we see another post suggestion coming from you because we know you have already submitted duplicate content! http://www.bookkaholic.com/contact-us/submit-a-book-for-review — Bookkaholic isn’t just a book review website, and we’re not just a site with articles about great books. Bookkaholic is a site that can help you answer, What should I read next? Take a look below to find your next obsession. We use real people—writers and librarians—to suggest books, compile lists, and write reviews. http://www.booklaunch.io — You can add your own free book listing and pay $5 to $10 per month extra for more features and pages. http://www.booklife.com — Register your book with BookLife and submit it for a Publishers Weeklyreview. It’s free (but not guaranteed). BookLife is a website from Publishers Weekly dedicated to indie authors. The site provides a free and easy way to submit self-published books to Publishers Weekly for review. http://www.booklikes.com — Join BookLikes to create your own book blog. You can collect books, discover new ones, win giveaways, and stay connected with other book lovers. A blog platform for book bloggers, reviewers, writers, readers, and book lovers. Alexa rank: 67,707 in December 2015.
http://www.thebookmarketingnetwork.com — For book authors, self-publishers, publishers, publicists, ebook authors, and others involved in writing, publishing, and marketing ebooks and books. http://www.bookrazor.com — BookRazor helps independent authors get more reviews by finding potential reviewers from books similar to their own. We look for people who are most likely to read and love your book, saving you time so you can keep writing. Cost: $29.99 for 50 potential reviewers to $199.99 for 500 potential reviewers. Alexa rank: 2,122,746 in April 2016.
http://www.bookrix.com — Publish and sell your eBooks at Amazon, Apple, Barnes & Noble, Google, Baker & Taylor and many other eBook shops. Publishing services are free, including a free ISBN. No binding or long-term author contracts. Royalty payments are paid monthly. You get paid 70% of proceeds. http://www.bookrix.com/download-free-ebooks.html — The eBook download is easy. Just click on one of the suggested eBooks. On the following page you will find a button to download your free eBook. Our eBooks are delivered in epub format, which can be read on almost every popular tablet, smartphone, and eReader. https://www.booksandbenches.com/submit-to-the-blog — Do you have a new release or guest post you’d like to share with readers? You may submit your information via the form below. Please keep in mind that only entries that are 100% complete will be considered for posting. Submissions to the blog are always free. https://www.booksandbenches.com/submit-deal-or-giveaway — Once a week we’ll send out a special offers & giveaway e-mail to subscribers. If you have a discounted or free book, or if you’re hosting a giveaway on your own website/blog, then you may submit your information. https://www.booksandbenches.com/request-an-interview — Readers love to get to know authors, and an interview is a great way for an author to give their readers a glimpse into their writing process, life, hobbies, travels, and personality. https://www.booksandbenches.com/request-a-review — Our reviewers offer insightful, honest, and unbiased reviews without those dreaded spoilers. If you’re an author seeking to have their book reviewed, please complete the form below. Your book information will be made available to our reviewers so they may choose what interests them, assuring your book is fit with a reviewer who enjoys the genre. https://www.booksandbenches.com/giveaway-hops — Books & Benches will host three annual giveaway hops. Authors and bloggers may sign up to be a part of these events where we offer up books and prizes to the winners. If you’re already familiar with giveaway hops, feel free to sign up below and you’ll be notified once the hops are put together. If you’re not familiar with the process, please scroll down to read the what nots and how tos. http://www.booksbutterfly.com — Paid promotional slots only. They guarantee a certain number of books sold if you select to promote paid books (http://www.booksbutterfly.com/order/paidbookslots). And they guarantee a certain number of free downloads if you pay for a free book slot (http://www.booksbutterfly.com/order/freebookslots). They prorate any refund if you don’t make your paid goal. Alexa rank: 404,715 in September 2016.
http://booksends.com/expanded_guidelines.php — Free and paid listings. Alexa rank: 442,625 in January 2017. Free: When authors make a submission to BookSends, there are three possible outcomes. The book can be accepted on the date requested, accepted but needing a different date, or declined. Paid: Advertise your ebooks on BookSends, and get them right to the readers who want them! We’ve got over 120,000 active readers on our lists. Check below for subscriber stats and prices. Let us know about your upcoming deal, but know we’ll only be accepting the best deals on top-quality books. We look forward to working with you! http://www.books4dozens.com/register — If you an author, we offer book promotional services free. Become a free member and start listing your books within minutes. Manage all books from your personalized dashboard. http://www.booksgosocial.com — We started this site to get more books read and to help authors find a new audience. We are growing fast. Costs: $49.95 to $249.95. Alexa rank: 1,526,654 in February 2017.
http://www.bookshark.org/advertise — BookShark is a community of book readers (sharks) looking for the best deal on ebooks. BookShark sends an email a few times a week notifying readers of free or deeply discounted books for Kindle, Nook, iTunes, Kobo, etc. Alexa: 8,974,699 in February 2017.
http://blog.booksontheknob.org/subscribe-about-contact/authors-read-this — This blog grew out of an effort to keep my family and friends up to date when books were on sale or free in the Kindle store or an author website. Since then, it’s grown to encompass many ebook platforms and includes free or extremely good bargains on music downloads, games or any other item or promotion that catches my interest. In addition to book sales in the major bookstores, I alert readers as to special coupons available for free or nearly free books, but generally disregard any “free samples”, “free excerpts”, books with advertising or other gimmicks, including those that seem to be mostly intended to get email info for a mailing list (ie, internet only books created just to give away and drive traffic to a web site). I get more books to review than I can possibly read, but do mention them in conjunction with their release or a special pricing. I don’t read all the books that get mentioned on my blog (I don’t have the time, for one thing) and most I find on my own and purchase with my own money, a task eased by their being free, for the most part. Some books are sent to me by the author for review, either in electronic or physical form and I try to mention that when the book comes up in a post. http://www.booktweep.com — $14.99 for 30 tweets each month from three Twitter accounts with 250,000 total followers (90 total tweets for $14.99). Alexa: 1,060,639 in August 2016.
http://www.bookzio.com/submit-a-listing — $19 to $39 promotions depending on what you want. Alexa rank: 475,913 in October 2016.
http://www.borntobeviralbooks.com — Offers various paid packages described at http://mohrpublicitycart.com/product-category/book-and-author-promotions. No free listings. Prices from $15 to $765.00. Alexa rank: 9,795,363 in September 2016.
http://www.bragmybook.com/promotional-plans — Offers tweeting plans starting at $8.99 to 125,000 followers. 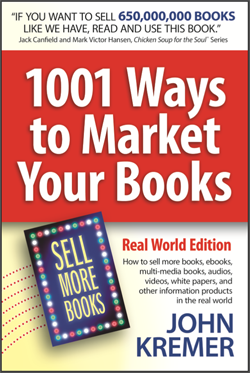 Alexa rank: 2,201,858 in November 2016.
http://www.buckbooks.net/promotions — Especially strong with nonfiction books. Alexa rank: 601,365 in September 2016. Unlike other book promotion sites, we like to focus on new releases. Nothing makes a bigger impact on the lifetime sales of your books than a kickass book promotion right at the start. To apply for a promotion, simply fill out the form below and you’ll be contacted within a matter of days with a “yay” or “nay” by the Buck Books gatekeeper. We charge fees based on a rolling average of books sold, and our fees are always fair because of it. We use these fees to put on huge events to build our subscriber base every month, and we aim to grow this thing into a force to be reckoned with in the book promotion world. To have a chance to be featured at Buck Books, your book must be priced at 99 cents or less during your promotion, its listing on Kindle must show that it is at least 60 pages in length, you must have at least 10 reviews with an average rating of 3.8 stars or higher, your book description must be well-written and free of any major spelling or grammatical errors, and your book cover must be designed by a non-Fiverr professional designer or book cover design service. http://www.chaptersee.com — A social network for book authors, publishers, and readers. Authors can promote themselves and their books. Publishers can promote works they’ve published and connect with new talent. Readers can help keep books alive by sharing them with their social media contacts. Make your profile strong so readers will learn more about you. Always include your personal and company websites. We want to publicize your books and increase sales! https://www.chatebooks.com — A place to feature and sell your ebooks. Cost: $9.99 per year. 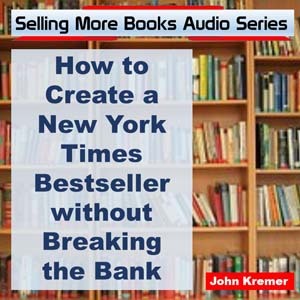 Keep 100% of your book revenues and receive them immediately. http://circleofbooks.com/our-services — Get a free book page. For $8 to $15, you can get a month or two of tweets, an author page, and a few other things. They specialize in genre fiction and food/drinks. Alexa rank: 7,477,203 in August 2016.
http://www.coldcoffeecafe.com. — Motto: Cold Coffee Café Is Where Authors Showcase Books And Avid Readers Shop. Alexa rank: 4,297,660 in February 2016.
http://www.crokes.com — Crokes is primarily a community site for book authors and writers. Crokes gives excellent opportunity to authors to connect with other like-minded authors and also to promote themselves and their books. http://www.digitalbooktoday.com/12-top-100-submit-your-free-book-to-be-included-on-this-list — We list over 95% of submitted Fiction books that meet our guidelines (18+ Amazon reviews & 4.0+ stars)for up to four (4) days. Perma-free books will be listed for 2-3 days per month. You can get a paid listing if your ebook does not meet these criteria. Alexa rank: 326,887 in September 2018.
https://www.draft2digital.com/steps — An easy-to-use way to publish your ebook from a Word document. Alexa rank: 71,231 in December 2015. Here’s the deal: There are no fees for formatting or distributing your book. When you sell a book, we both make money. We keep about 10% of the retail price. We don’t try to upsell you to some expensive services package or nickel-and-dime you for making changes to your e-book. You can list your ebook at whatever price makes you happy. It’s your call. You can even offer your book for free. http://www.ebookbooster.com — Busy writing? We’ll submit your ebook to 50+ sites for only $40! http://www.ebookchristian.com — $5 book and author promotions. All genres welcome. http://www.ebooklanding.me — Get the perfect landing page for your ebook that is both responsive and optimized to be found in search engines. Use our service for free if your ebook is free! http://www.e-booksdirectory.com — E-Books Directory is a daily growing list of freely downloadable ebooks, documents and lecture notes found all over the internet. You can submit and promote your own ebooks, add comments on already posted books or just browse through the directory below and download anything you need. Submit your books here: http://www.e-booksdirectory.com/submit.php. http://www.ebooksforfreeinc.com/effiforauthors — We offer four different promotion opportunities for authors. Utilise this fantastic chance to get your ebook in front of thousands of reader eyes. We presently have 12 000+ newsletter subscribers and a large following on Twitter and Facebook. From $12 to $40. Alexa rank: 233,163 in September 2016.
http://www.ebookshabit.com/for-authors — Our free ebook submission form is a free service provided to authors, but it does not guarantee that your book will be featured on the days you submit. All books that are submitted which follow our basic rules listed below will be considered for promotion. … Guaranteed Placement – $10 – This will ensure that your free ebook will be featured in the blog post and in the email list on the day specified. This is a very popular option for many authors! http://www.ebooksoda.com/authors/submit/new — We have one flat fee of $15. This includes promoting your book to our readers via email. Plus, your book will be featured on our website on the Latest eBook Deals and Category pages. Alexa rank: 873,864 in July 2016.
http://www.ebookstage.com/how-to-promote-your-ebook — Their promotional programs run from $10 to $50. Alexa rank: 325,245 in July 2016.
http://www.ereaderiq.com/about — They feature all the free ebooks on Amazon every day automatically. No way currently to submit a listing or do a promotion. http://ereadernewstoday.com/bargain-and-free-book-submissions — One ebook writer’s comment: Not nearly as effective as it used to be. But another ebook author notes: Using only ENT has taken my novels to the #1 spot in their genres. $35 for a listing of a free ebook up to $135 for an ebook priced $2.99. Alexa rank: 85,554 in September 2016. Requirements: Available on Amazon.com. We also promote book deals that are available at Barnes & Noble/Nook, Google Play, Apple iTunes and Kobo. Free or on sale. However, we realize that some books have a regular price of 99 cents and we will promote these books for you. A full-length book. Your book must be at least 125 pages. Children’s, non-fiction and cookbooks do not have to meet this requirement. Not promoted by ENT in the past 90 days. 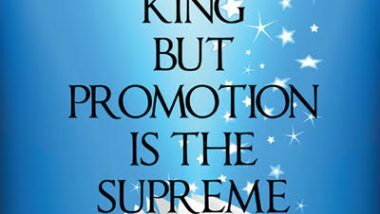 Although we won’t promote the same book within a 90 day period, we have no restrictions on the number of times that an author may be promoted. One ebook author notes: Using only ENT has taken my novels to the #1 spot in their genres. http://www.ereaderperks.com/authors — At eReaderPerks, our goal is simple: to help people who love to read discover fabulous, new-to-them authors. If you are an author and your book is going to be temporarily free on the Amazon, Kobo, and/or Barnes and Noble websites, use this book submission form to get in touch; we will help you spread the word! http://www.everywritersresource.com/selfpublished/submit-your-book — We have a huge backlog. Right now the only listings that will be published are priority listings. These are paid listings $10 US. We are trying our best to keep up with the free submissions, but it is impossible. We are very sorry about this. Once you have filled out the submission form, follow the steps to get a priority listing. http://www.fkbt.com/for-authors (Free Kindle Books & Tips) — The majority of posts to the Kindle Books and Tips blog provides a mixture of free Kindle book offers to both the Amazon Kindle store and to sites other than Amazon, featuring discounted or exclusive deals to the blog readers, as well as Kindle tips in an effort to keep the blog’s participation at a high level. My informal results and feedback from the blog’s readers tell me they enjoy the mix, and the clickthrough rates and purchases of Kindle books for sale by independent authors have been doing better than my expectations. Alexa rank: 375,555 in September 2016.
http://fliploud.com/book-promotion — $29 to $49 for promotion to 222,000 social followers (70,000 on Facebook and 150,000 on Twitter) as well as the Fliploud website. Alexa rank: 2,077,588 in July 2017.
http://flurriesofwords.blogspot.co.uk — Reader’s Site for Book Reviews, Flash Fiction, Interviews, Freebies, Free & Bargain eBooks and Much More… $20 to $40 for services offered: http://flurriesofwords.blogspot.co.uk/p/blog-page.html. Alexa rank: 4,186,087 in September 2016.
http://www.freado.com/how-it-works.php — Offers author giveaway books to reviewers and book bloggers. Freado helps bloggers and reviewers receive free copies of popular books from participating authors. The goal is to help authors build an audience for their books by giving away free copies to influential readers who can help spread the word on blogs, GoodReads, Facebook or Twitter. Minimum payment: $7.99 per month. Might no longer be in business. Alexa rank: 967,056 in September 2016.
http://www.free99books.com/author/add — All current promotions are free. Alexa rank: 1,161,862 in September 2016.
http://www.freebookdeals.com/about — To get your book featured, leave a comment the day before your free Kindle day. Alexa rank: 1,505,964 in September 2015.
http://www.freebooksforall.com — Free business books, free how-to books, free memoirs, free biographies, free health books, free spiritual books, free nonfiction books. http://www.freebooksy.com/editorial-submissions (they have been de-emphasizing these free submissions in favor of selling you a featured listing here: http://www.freebooksy.com/for-the-authors). Cost: $85 to $200. They specialize in genre fiction: mysteries, thrillers, romances, fantasies, but they also promote to cookbooks, self-help, travel, religion, and general nonfiction ($40 to $75). They now also offer a Facebook app for author promotions. Alexa rank: 69.799 in September 2016. The Author Marketing App is a great way to give Facebook users an overview of your published work. It installs as a tab on your Author Page and allows you to add details about your books and upcoming events. If your books are listed on Amazon, listing the books is as easy as entering the ISBN; we’ll take care of the rest! http://www.freekindledeal.com/submit.php — You can submit for free and pay to get a featured review of your Kindle ebook. Alexa: 5,710,893 in July 2016.
http://www.thefrugalereader.com — The site features eBooks available at the Amazon Kindle Store for less than $9. Most eBooks are less than $3 and many more titles are featured at the rock bottom $.99 price tag! Even more frugal? FREE eBooks are featured too! … All submissions and features are suspended indefinitely. http://www.thefussylibrarian.com/for-authors — Motto: Always the good stuff. The Fussy Librarian emails you with the ebooks matching your unique interests and content preferences. Prices range from $12 (approximately 20,000 readers) to $18 (approximately 80,000 readers). Alexa rank: 374,502 in October 2016. The Fussy Librarian sends 121,000 subscribers a daily email, which is where your ebook will be featured once. The number of subscribers in each genre varies. Your book will be included in our searchable database for 30 days as part of your fee. In order to be considered, you must have published an ebook with: 10 reviews and a 4.0 rating on Amazon, 11 to 19 reviews and a 4.0 rating, or 20 reviews and a 3.5 rating. If you have 10 reviews split between Amazon’s various stores — like US and UK — your book is eligible. Reviews must be from Amazon. A price of $5.99 or less on the day of the promotion. http://www.goodkindles.net/p/why-should-i-submit-my-book-here.html — A big number of people, when leaving the site, leave it by clicking links to the Amazon.com site that we provide. What does that mean? That our users would like to buy a book on Kindle, but they are searching for ideas and recommendations. And they are very likely to buy something that they find here. So submit your book and good luck with your sales! http://www.goodreads.com — One of the most popular websites for featuring you as a book author as well as all your books (and more!). Owned by Amazon.com. http://www.HummingbirdDM.com — Hummingbird Digital Media includes a feature-robust app for reading and listening, along with an intuitive web-based storefront for the discovery, purchasing, and downloading of digital media. The app is operating-system agnostic, meaning it works on iPhone, iPad, Android devices such as Nook and Samsung, and the Kindle Fire. Both the app and the storefront carry the brand identity of the organization or individual. Hummingbird Digital Media remains in the background, out of sight. Any author or publisher can add their titles to this new ebook retailer. http://www.ilikeebooks.com/submit — A relatively new book promotion website with paid promotions from 99 cents to $9.99. Alexa rank: 3,553,248 in January 2017.
http://www.independentauthornetwork.com — A community of authors who are self-published or published by a small indie press. New members can have interviews, book reviews, blog tour stops, and guest posts posted to the IAN blog. Platinum membership: $179.95 per year. Alexa: 504,292 in June 2016. A Bronze Membership is a Member Page with BIO, large book covers, up to 6 books with buy links, PDF sample downloads, video trailers, the ability to sell print or ebook copies, and your books in the IAN Amazon Bookstore. Up to 6 books included in the Book Directory. The Bronze Membership set up fee is $24.95. This is a one time only fee! http://www.instafreebie.com — InstaFreebie offers authors easy tools to provide giveaways. Cost: From free to $50 per month. Alexa rank: 87,659 in April 2016. InstaFreebie is a simple distribution tool for ePub, Mobi, and PDF files for authors to give away books, chapters, or other content. Let us distribute your content automatically. Engage readers by being generous with them and giving away free content. In return they will want to reciprocate, so give them the opportunity to opt-in to your mailing list for future contact and offerings. http://www.ireaderreview.com — To get listed, it looks like you have to pay at booksbutterfly (see above). Or try leaving a comment several days before your free Kindle day. Alexa rank: 572,706 in September 2015.
http://www.jameshmayfield.com/book-promotions — He offers a virtual assistant social media package for $13. Alexa rank: 2,108,863 in September 2016. 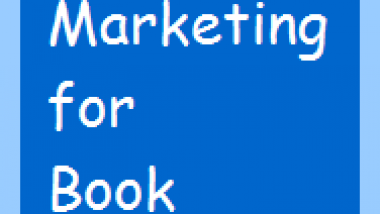 I will post your e-book deal to 10 highly active Facebook groups with a member count of 500,000 with added postings to unique, niche specific groups and pages if possible. Also: Ads in up to 3 active sub-reddits which I’ve observed to be the most effective at promoting e-books. Links to your book will be posted in three book forums that get regular visitors and where they will remain visible for days. The cover image of your book will be pinned to an appropriate board on my Pinterest account with a link leading to your book. Relevant hashtags will be used and your book will remain visible indefinitely. 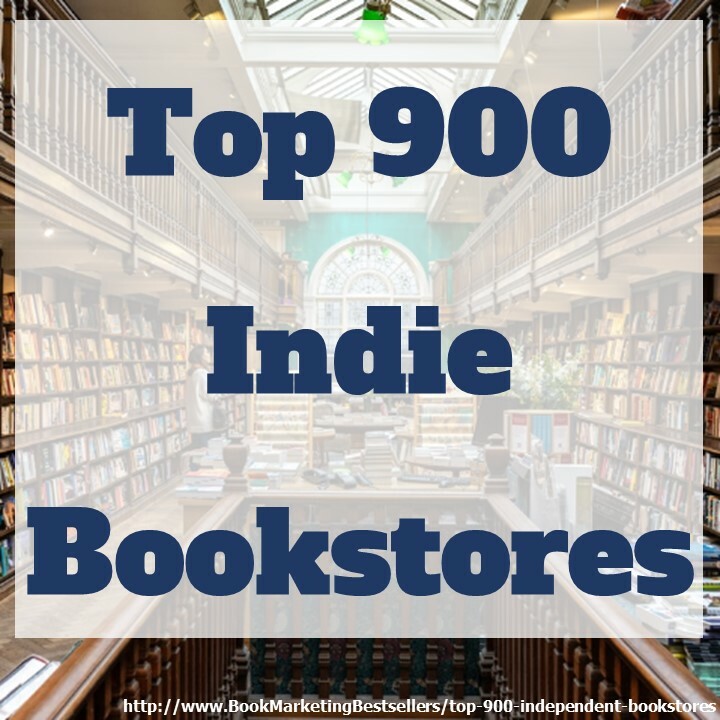 Free listings on Indies Unlimited and Deals Plus (for free or 99 cent books). http://www.kindlebookpromotions.com/howitworks.html — Paid listings from $95 to $650 with more exposure. Alexa rank: 5,110,220 in February 2016.
http://www.kindlebookscheap.com/add-a-book — Cheap Kindle ebooks. Alexa rank: 13,345,451 in December 2015.
http://www.librarything.com — Another major website for featuring you as a book author as well as all your books. http://www.look4books.co.uk — Great books by wonderful authors: comedy, crime, erotica, fantasy, horror, mysteries, paranormal, poetry, romance, science fiction, and thrillers. He charges 15 for two bespoke posters. Alexa rank: 6,154,723 in August 2016. Check out his books on billboards examples: http://gary-booksandlife.blogspot.co.uk/2013/11/books-on-billboards.html. More Ebook Listing Sites . . . Thanks for this usefull information! New! site redesign… submit your free kindle book: http://www.freekindledeal.com 100% spam free! http://www.crokes.com Community for authors, you can promote your books here for free. They also feature your book on their “books of the week” page. Thanks. I’ve now added them. The most comprehensive list out there! Thanks for taking the time to assist authors.